Dutton started as a sales engineer at ECA in 1975 and quickly advanced to the role of Philadelphia branch manager. He spent many years as executive vice president of sales and marketing before eventually being promoted to president. "I am pleased to have contributed to the advancement of the deep foundation construction industry," Dutton said. "But mostly, I am honored and privileged to have worked with competitors, suppliers, customers, and employees to provide the same growth and opportunities I have experienced in a career that has spanned nearly five decades." Although stationed in ECA's Philadelphia office, his influence extended from the United States to Canada and to Europe as the firm strategically expanded products, manufacturers and markets. Dutton worked closely with CEO Roy Kern and his father Al to mold ECA into the global leader in foundation equipment it is today. 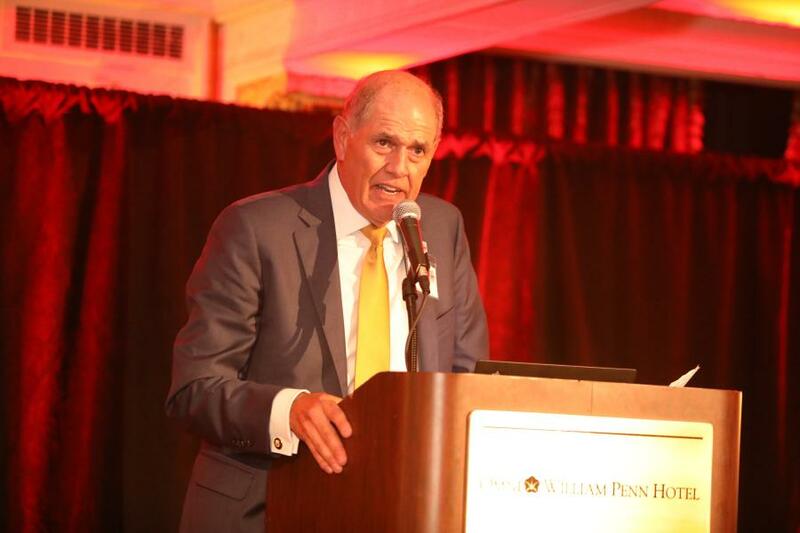 The peak of his impact came in the mid-1990s when he worked with Roy to orchestrate ECA's expansion into the international drilling market. Dutton's industry accomplishments include the presidency of the Delaware Valley Associated Equipment Distributors (AED) board of directors, and member of the executive committee of the Association of Drilled Shaft Contractors / International Association of Foundation Drillers (ADSC-IAFD). In addition to his board responsibility at ADSC-IAFD, he held the position of associate member chairman, co-chair of the Education Committee, chairman of the Supervisory Personnel Training Institute, and chairman of the Management Personnel Training Institute. Dutton was a charter member of the Deep Foundations Institute (DFI) at its founding and remained active over many years with various committees. He also supported other associations including the Piledriving Contractors Association (PDCA), Associated Pennsylvania Constructors (APC), and Utility and Transportation Contractors of New Jersey (UTCA). "Throughout his career, Ben has touched many of us — employees, customers, vendors, trade groups, and competitors alike — and could always be counted on for his industry knowledge, vision, professionalism, sales acumen, and friendship," said Roy Kern. "He's been a force within our industry and a huge contributor towards the development and growth ECA has enjoyed over the last 40-plus years." For more information about Equipment Corporation of America,visit ecanet.com.